Sheffield has been successful in securing £9.7 million from the Prime Minister’s Challenge Fund which will be used to improve patient access to GP and community healthcare services and enhance the links between GP practices, community nursing services, pharmacies and the social care and voluntary sector. 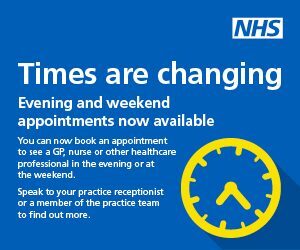 GPs will work together to deliver consistent access to GP services for patients in Sheffield within the normal working week, as well as more services at evenings and weekends. This will see Sheffield patients benefiting from significantly increased access to local GP services 7 days a week, particularly for urgent health problems outside of normal working hours. These enhanced services will be provided from five sites spread across the city. Pharmacists, community nurses, mental health nurses, occupational therapists and physiotherapists will also play a key role as the local NHS looks at ways of offering greater support to patients closer to home. As well as making life easier for patients, this will help to ease pressure on our hospitals. The money will also go towards improving communication between GP practices and the wider health and social care system with patients seeing a more seamless transition as they go between services. This will be facilitated by making sure the various clinical IT systems are better connected together. There are also plans to offer better support for patients, through websites and online services, around self-care and self-management of health conditions, to ensure patients know how to keep well and stay healthy. The bid has been led by the Sheffield GP Provider Board which acts as a unified voice for primary care providers in the city. 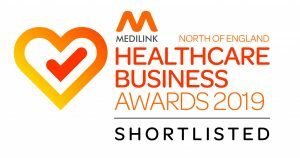 However the project is about enhancing the Sheffield healthcare system as a whole and has been developed collaboratively by local patients, the foundation trusts, social care, the voluntary sector and NHS commissioners. Dr Tim Moorhead, local GP and Chair at NHS Sheffield Clinical Commissioning Group said, “This is great news for patients in Sheffield and a fantastic opportunity for Sheffield GPs to lead the way in using an integrated approach to enable patients to get the right care, at the right time and in the right place, as well as helping to ease the burden on our A&E departments. The system wide collaborative approach has been made possible by the emerging provider relationships in the city with GPs, hospitals, the voluntary sector and social care working together under the Joint Provider Executive.